We have plenty of great racing action planned for you tonight. Not only will the Budweiser IMCA Modifieds, Donnellson Tire & Service IMCA Stock Cars, Roberts Tire Center IMCA SportMods, and Discount Tire & Service IMCA Sport Compacts continuing their battle for the season ending points titles. 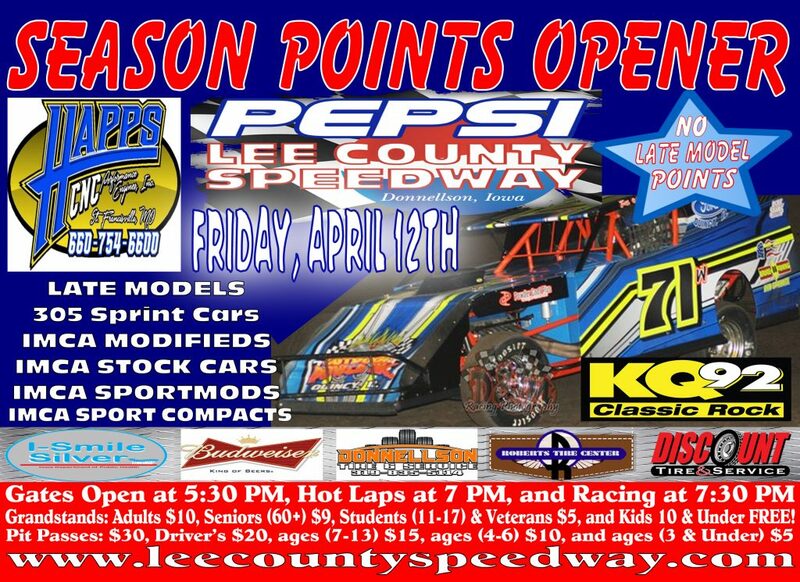 But the I-Smile Silver Late Models, 305 Sprint Cars and Legends will also be racing, using a draw / redraw format. 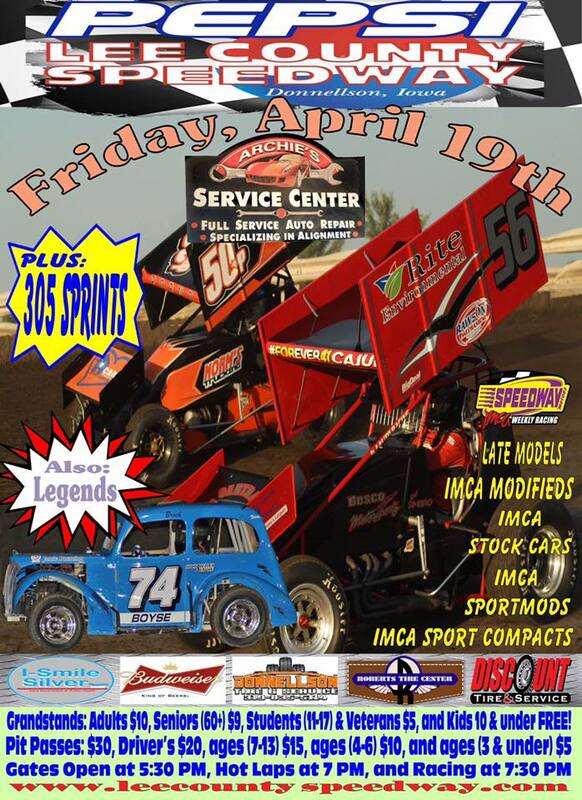 This will also be the season opening points night for the 305 Sprints. 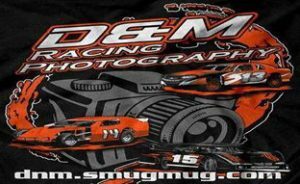 Stock Cars don’t forget you will be racing for $500 to win tonight, thanks to Jimmie Sykes!!! You can catch all this action for only $10 for adults in grandstands, seniors (60+) $9, students (11-17) $5, and kids 10 & under FREE!! But if you are a resident of Illinois, as well as all veterans, then you will receive $5 off the grandstand admission. Meaning all Illinois adult residents and all veterans, no matter where you live, will get in only $5. With Illinois senior residents and all veterans will get in for only $4. Hot laps at 7 PM, and Racing at 7:30 PM. We hope you join us tonight!